This weekend the SANFL is celebrating Indigenous Round, as the league acknowledges the contribution of past and present Indigenous players. Unfortunately South Adelaide have the bye in Round 16 and will not be able to help celebrate on the field. So for this week's Flashback Friday we take a closer look at one of the greatest Indigenous players to don the famous blue and white guernsey. 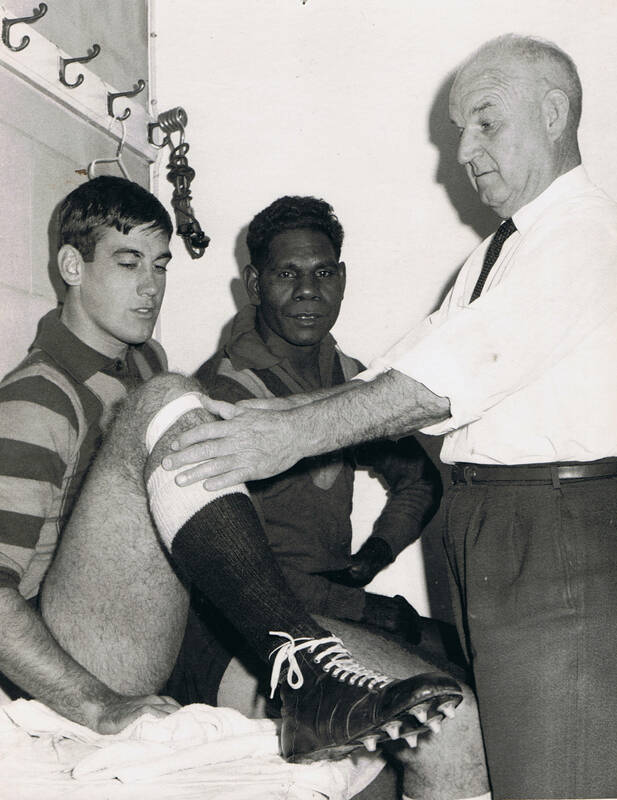 Many Indigenous Australians have enjoyed fantastic careers at South Adelaide, but perhaps none can be consider as influential as David Kantilla, who was not only a pioneer at South Adelaide, but within the entire South Australian and Northern Territory football community. Originally from the Tiwi Islands in the Northern Territory, David (or Amparralamtua as he was known on Bathurst Island) is recognised as the first Indigenous Australian to play in the SANFL and also the first to play 100 games in the competition. David Kantilla formed a formidable ruck division with Peter Darley through the early 1960s. David joined the Panthers from St. Marys of the NTFL in Darwin, which has been a training ground for many notable Tiwi Island footballers like Michael Long and Maurice Rioli. David arrived in early April of 1961, after the South secretary of the time, Max Murdy, negotiated his coming south not just with the football officials at St Marys, but with Bishop O'Loughlin in Darwin. As David had been brought up at Roman Catholic missions at both Bathurst Island and Darwin he was regarded as a state ward. Between 1961 and 1966 he played 113 games and kicked 106 goals for South Adelaide. He represented South Australia in both 1964 and 1965, and was a member of the Panthers Premiership side of 1964, a match in which the Advertiser writer Merv Agars considered him to be best on ground. Affectionately known as "Soapy" (following the publication of a photo showing him lathered in soap in a bath), David also holds the distinction of being the only player to ever win the Knuckey Cup in both of his first two seasons. 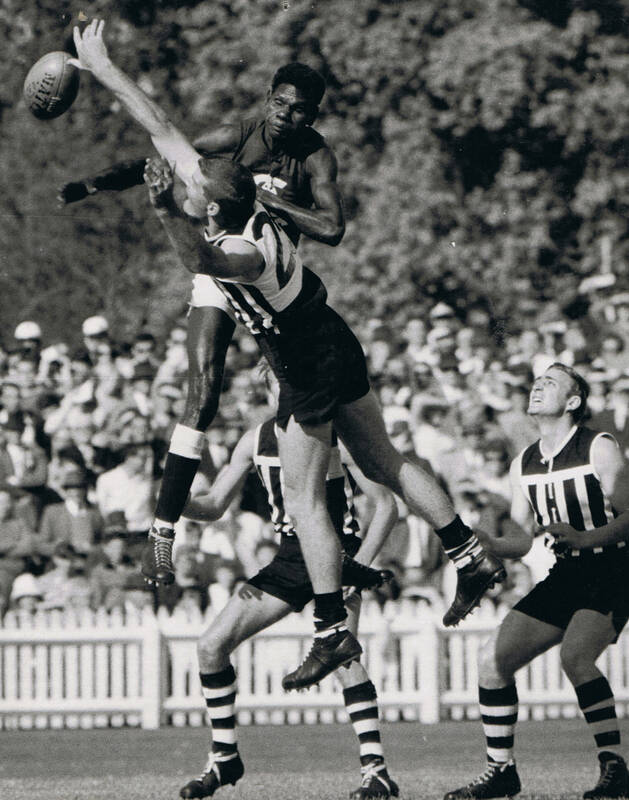 Standing an impressive 6'5" (196cm) and blessed with an incredible leap, David played with South Adelaide as an exciting, high-flying ruckman and full-forward. He quickly won over the hearts of all football supporters in South Australia with his unassuming nature, courage on the football field, and soaring, finger-tip marks. His playing career is remembered fondly by all Panthers supporters. He was awarded life membership at South Adelaide in 1967 and inducted into the club's Hall of Fame in 2004. The club's awards the best first-year League player the "David Kantilla Memorial Trophy" in memory of David's instant impact upon joining South. Kantilla was known for his high-flying antics on the football field and was an aerial threat in every marking contest. However, David's impact on the sporting landscape has also been recognised abroad. David also had a great influence on football in the top end. He won two Premierships with St Marys prior to joining South (1959 & 1960) and two more once he returned to captain/coach the side (1966 & 1967) following his playing days with the Panthers. In 1997 he was inducted into Northern Territory Hall of Champions. Meanwhile, the function room at NTFL headquarters at Marrara Oval is named after him. In 2005 he was named on the interchange of the Indigenous Team of the Century and he has also been inducted into the AFLNT Hall of Fame. Tragically, David died at 37 years of age as the result of a motor accident on Bathurst Island in 1978. 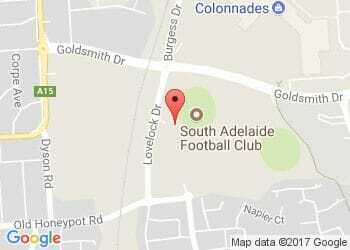 However, his memory lives on fondly in the hearts of all involved at South Adelaide. David Kantilla, a pioneer and a legend.